Our award-winning design and engineering teams provide a range of services aimed squarely at helping clients improve operational efficiencies. 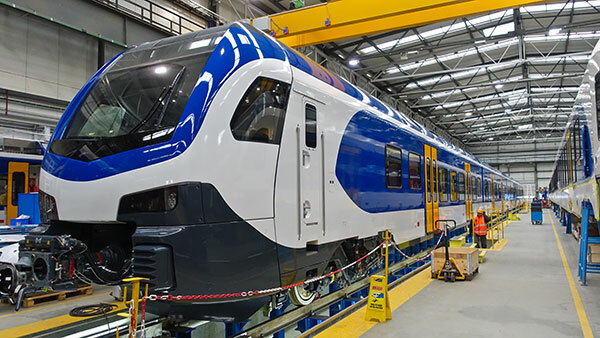 From full bodyshell design to the development of sub-systems such as bogies and under-frame equipment, from train detection technologies to interlocking systems, we provide cost effective solutions from concept through to fully engineered production drawings and their eventual application in an operational environment. Previous assignments include all forms of rolling stock, including EMUs, DMUs, light rail and freight, as well as supporting the migration of legacy signalling systems to ERTMS and CBTC. Using in-house facilities, we also manufacture complete drivelines and transmissions, with a proven record of producing drivelines that are lighter, quieter and more efficient, yet more powerful and durable. We have over 50 years experience of delivering cleaner, more efficient engines for rail clients including market driven specification, modernisation and upgrade of equipment, niche manufacture and in-field support.